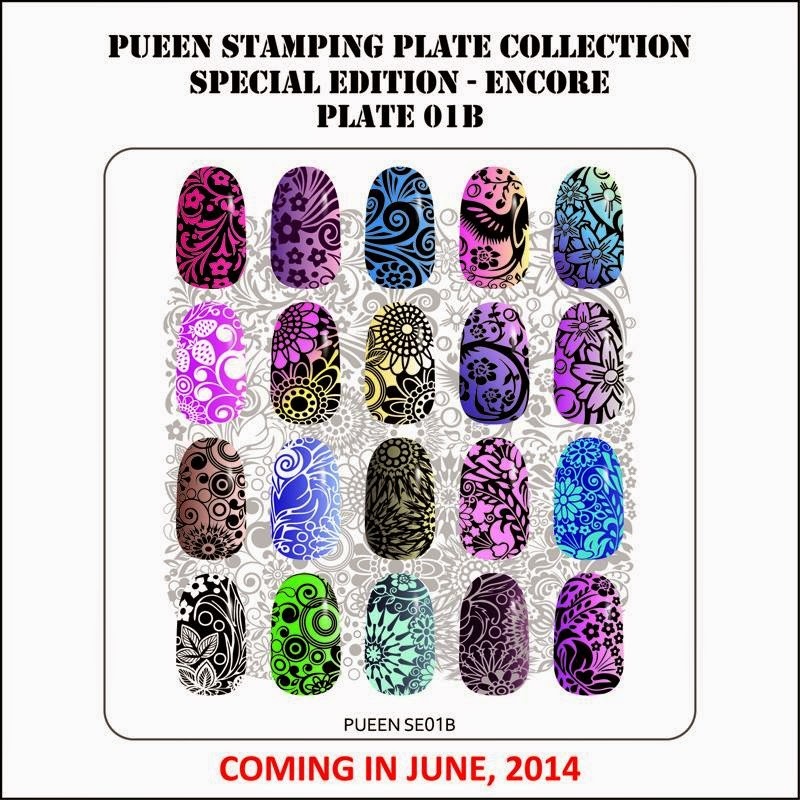 Lacquer Lockdown: Hot Off The Stamping Press: Pueen Cosmetics Encore Collection Teaser 2 (UPDATED)! 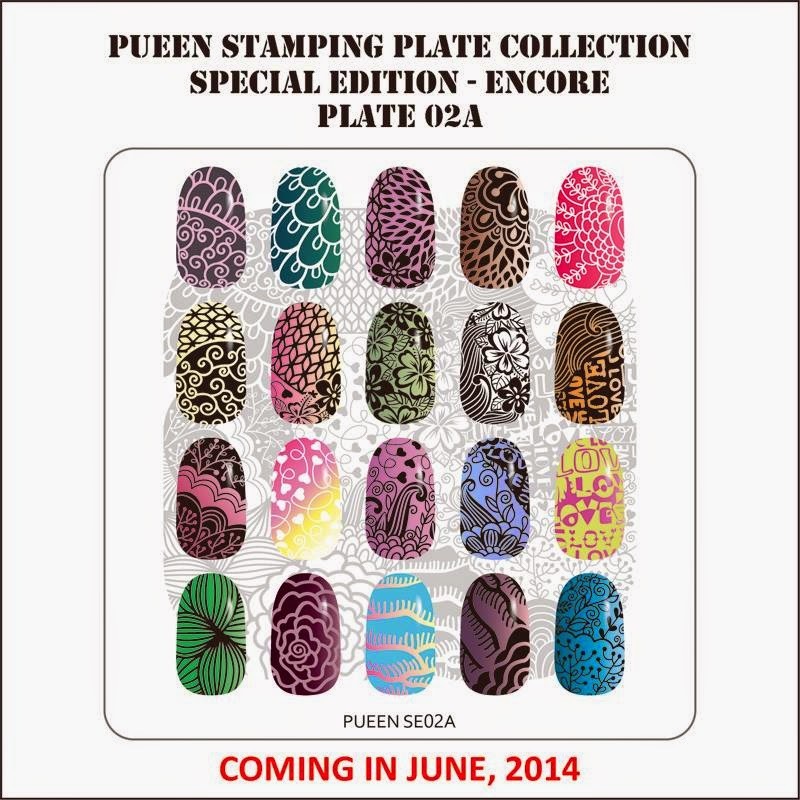 Hot Off The Stamping Press: Pueen Cosmetics Encore Collection Teaser 2 (UPDATED)! Happy Saturday! A ll I can here in my head is the song from Britney Spears going "gimme more gimme more gimme more..." You ladies know I really enjoy stalking. Lol it's so much fun and the best part is then I can come and share it here and not feel like a crazy lady IRL because my readers share my passions and obsessions equally! Ok maybe not equally since I'm a little crazy but whatever close enough right? 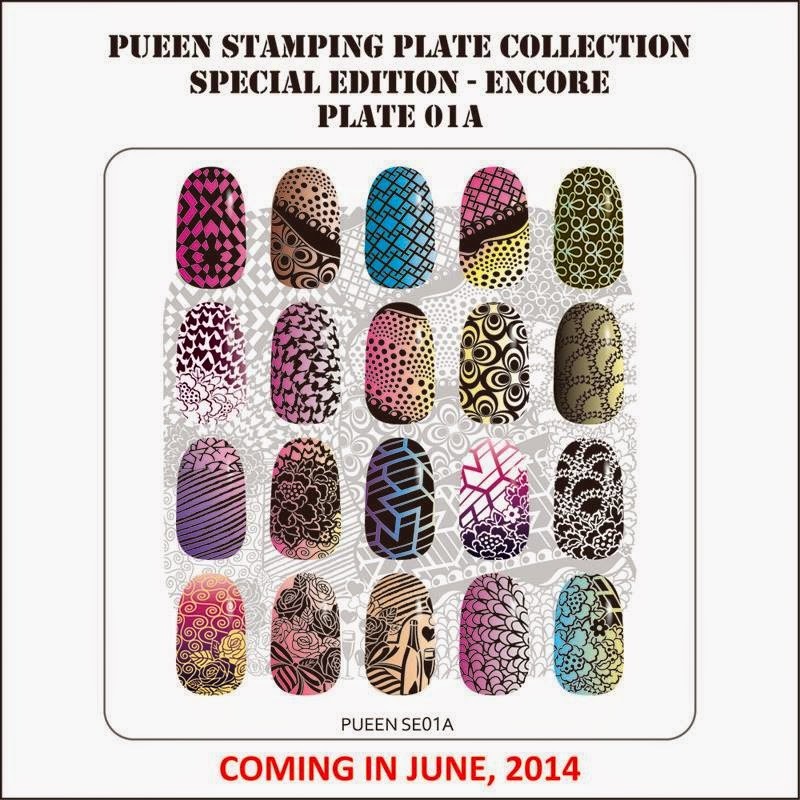 So for those that haven't caught up Pueen Cosmetics is at it again and are in the midst of creating a new collection of plates. You can read my initial announcement here. My suspicion is that the set is already done and they are simply waiting for them to come over from their manufacturer. Today they gave us another sneak peek behind one of the plates from this collection. If you are like me and enjoy some magic eye maneuvers you can see the actual mockup of the plate underneath the nail designs. Clever marketing right? So here's two pieces of news that Pueen dropped on us with this teaser. First, these plates will be releasing in June. Awesome! Second, these plates will be double sided. Interesting...I have often wondered myself why plates haven't been doublesided. Since when you look at how Pueen packages their sets they are back to back in the faux leather holder. So I feel like this has been a long time coming. I'm interested to see how and if this effects stamping and a little excited because my stamping plate collection is starting to take up a lot of real estate in my home! So what do you ladies think? I really continue to be super duper impressed with the Pueen creative minds.